Nutz4Nutrition: Neutral Foods for Kids. Really? Neutral Foods for Kids. Really? When my kids were little I used to think there were some foods I could "classify" as neutral; not that good but not really bad for you either. For example, hotdogs. Everyone knows hotdogs are not on the healthy food list, but are they really that unhealthy? The truth is ... as much as we would like to think differently, foods are either healthy or unhealthy. There are no neutral foods. Let’s take a look at those hotdogs for a minute. On July 3, 2012 the Daily News reported the 20 member Washington, D.C.- based Physicians Committee for Responsible Medicine (PCRM) made this statement “We want to let people know that processed meats have been closely linked to colorectal cancer,” said PCRM’s Dr. Ulka Agarwal. In fact, PCRM thinks hotdogs are so unhealthy they compare them to the same health danger as smoking cigarettes. You wouldn't think of giving your 2 year old a cigarette, maybe you should reconsider that hotdog. The American Academy of Pediatrics (AAP) has a thing or two to say about hotdogs too. They recommend hotdogs come with a "warning label" related to the choking hazards not because of their nutritional risks. Do you find it is as strange as I do; the AAP is more concerned with dying from choking than they are from dying from cancer? Just checking. That's the short list of hotdog health hazards. A quick internet search will fill you in with dozens more. In my mind and I'm sure yours too, this certainly moves hotdogs from the neutral list right over to the top of the super unhealthy never to pass my lips again list. But wait a minute. What about all those kid friendly, adult yummy advertisements you see about healthy hotdogs? For example, did you see the story in Health Magazine "The Best and the Worst Dogs, A Healthier Dog?" Forget about them. They are just that, advertisements. And what are those advertising companies up to? There are paid to sell their product, to convince you to buy them, whether they are good or bad for you. In this case they're selling the magazine and the hotdogs. You won't be hearing about cancer and choking. After all what could be great about that? 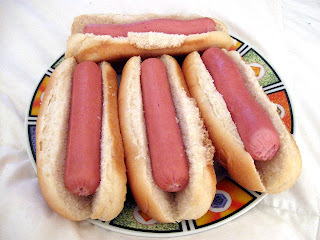 If this is what’s going on with hotdogs, it makes me wonder what’s going on with the other foods. I’m thinking and maybe you are too. It's not that I'm crazy about hotdogs, what I'm crazy about is ... the misconception we share about food and how healthy the food is or is not for us. Hotdogs are just an example. There are many foods we're thinking are neutral, safe or not that bad to eat. Really? Neutral foods? No. My kids are not little anymore and they're making food decisions for their families, so I’m not making those decisions for them now. When I was making them, I wish I knew what I know today. You now know. 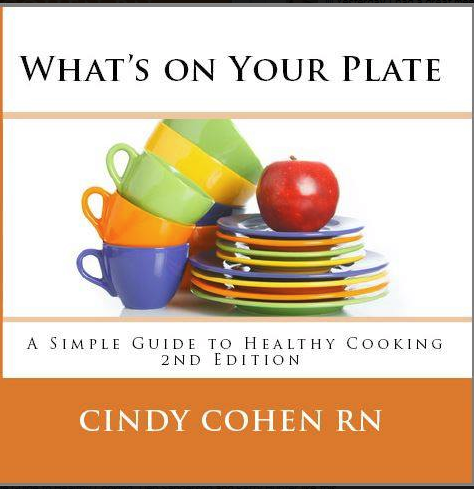 If you are making food choices for your family, be sure to remember there really are no, “neutral foods”. If you think a food is neutral, then put it back; it’s most likely not only unhealthy, it could kill you over time.